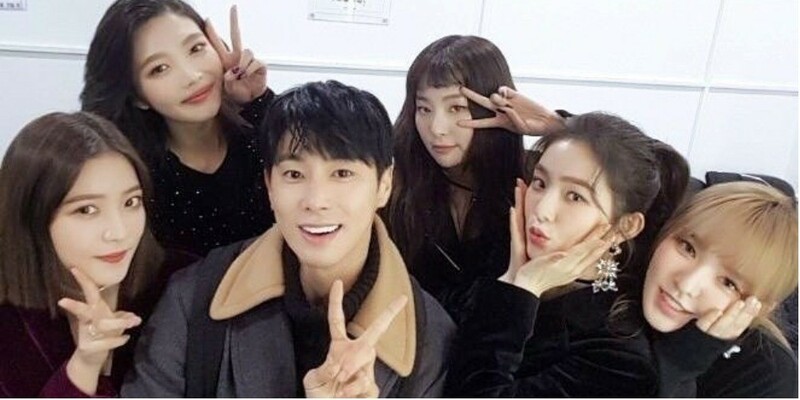 TVXQ's Yunho once again thanked Red Velvet for visiting him during his time in the military. The April 2 airing of MBC's 'Seciton TV' included an interview with TVXQ, who just returned with the 8th full album 'New Chapter #1: The Chance of Love'. One of the questions for Yunho asked if he received any help from girl groups while in service. The idol answered, "Red Velvet visited me twice. One time for a performance and one time for a visit to my base. At the time, my confidence boosted." He expressed appreciation, saying, "I always try to be encouraging to them in order to repay the favor."